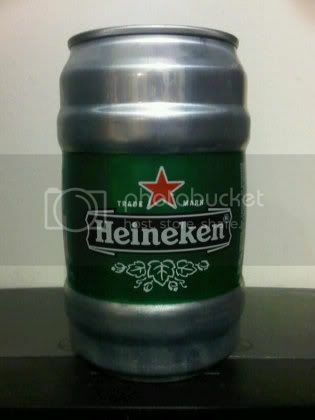 After reading and watching videos about it for years I finally decided it was time to try my hand at making a cooking pot from a Heineken 24 oz mini keg. I’m not a Heineken fan so I hated to waste the beer but I decided that the ends justified the means. It took me two tries to find the right safety cutter to get the top of the can off but I got it working. What I ran into with the Farberware and generic Kmart opener is that they both had a little plastic nub (or whatever you call it) at the bottom of the cutter. 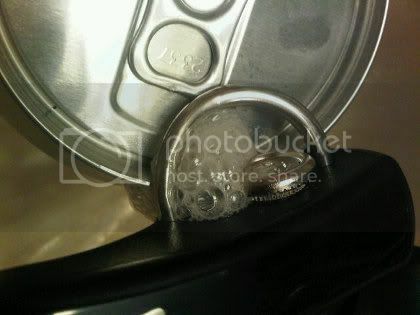 This works fine on veggie cans that are straight but not so well on the angled tops found on beverage cans. 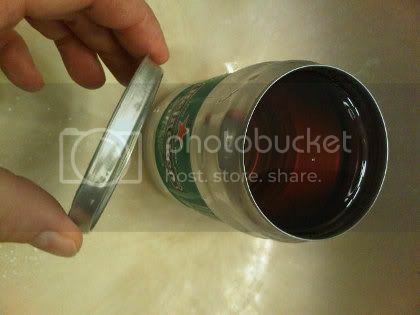 Tonight I compared the fit of each opener on the can and the Kmart model was closer to being where I needed it. Out came the Dremel and cutting wheel. I cut it off as much as I could and used a grinding bit to finish the job and smooth it out. Next I went to work. On the way home from the office I stopped at ABC Liquor and picked up two 24 oz Heineken mini kegs. I couldn’t find them elsewhere. Next I started cutting SLOWLY. I also had the can in the bathroom sink in case the pressure caused beer to go flying out of the can. Since I took my time I was able to carefully release the pressure and didn’t have any problems at all. It took just one trip around the can and voila! My aluminum Snow Peak Trek 900 pot/pan weigh 9 oz. The Heine pot weighs 1.2. Granted I can’t use the lid on the can as a fry pan like I do the Snow Peak but if I’m just boiling water it’s hard to argue with shaving a half pound off my pack weight!